Coyote are a wild canine quite active and well distributed throughout the United States. Though coyote were once thought to be native only in the great plains, they are now found in all lower 48 states. Their color varies from black to brown to gray to red to white. Most have some black hair on their back and tail, but because of cross breeding with dogs and wolves, there is no true color which clearly defines a coyote. In fact, many people mistake them for a dog or a wolf. Wolves are not as dispersed as a coyote and are a subject of another article. 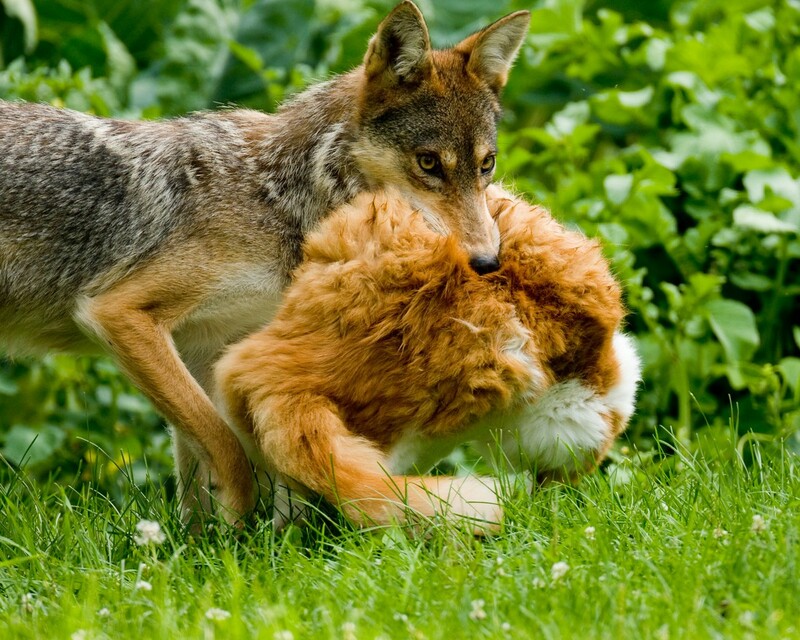 Because of this cross breeding, it appears coyotes have lost their true identity. This makes it hard to quickly identify them from region to region and even further complicates the task of trying to establish sub species. 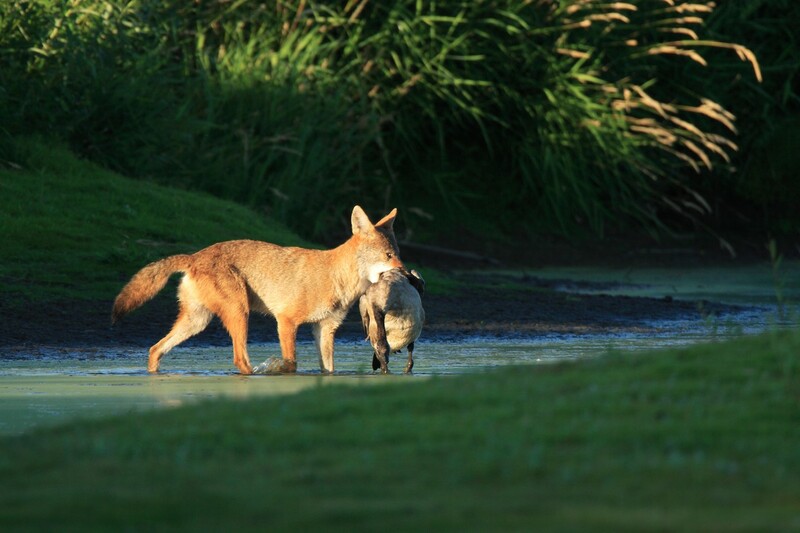 Coyote will feed on a variety of food. This includes carrion, rodents, insects, fruit, vegetables, small animals like pets, livestock and birds. Coyote will travel in packs foraging for food and doing their daily activities as a group. Both are active at night between dusk and dawn. But in some areas, coyote are getting more active in the morning. This seems to be happening where coyote are conflicting with people in urban areas. In such environments, its not unusual to spy coyote foraging in early morning. Most likely searching for lost pets, coyote will adapt their feeding habits to fit the schedule of the local food supply. Coyotes are fast. They can achieve speeds of 40+ miles an hour if needed. Females typically attain a body weight of 25-30 lbs; males can grow to over 50 lbs. Animals east of the Mississippi seem to be a “smaller” strain compared to the western coyotes. Coyote become a problem when their feeding leads them to our gardens, livestock or pets. Coyote do enjoy garden vegetables and fruit. Because of how they forage, damage is quick and complete. Coyote will also eat pheasant, quail, chicken and turkey. Coyote love bird eggs and can cause huge financial losses to both the commercial farmer as well as the weekend gardener. 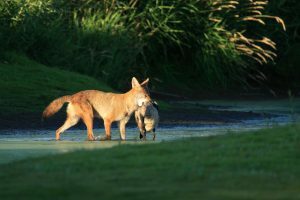 Around urban neighborhoods, people build ponds stocked with fish, turtles and other live animals coyote love. These stocked environments will be found by foraging coyote who learn to feed on the bounty. Stock piles like this provide a quick meal; these small “ponds” offer no protection for the fish and wildlife man tries to keep as pets. It is hard to blame the coyote for their actions. In the wild, their feeding serves a purpose. However, in urban areas, conflict is an ever growing problem. The biggest “threat” coyotes pose is to our pets. They’ll readily harvest cats and small dogs. And though coyote attacks occur every year, they’re not significantly on the rise. Like other animals man conflicts with such as mountain lion, bear and wolves, attacks are likely to happen when chance encounters occur in the wild. 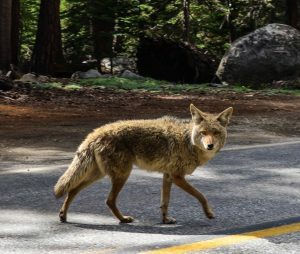 But around the home, pets will be stalked, hunted and harvested once the local pack of coyote learn where animals are active during the day or night. There are several coyote repellents one can use to keep them out of the yard. These are based on scent, water and sound. If there are coyotes active around your land and you’re concerned about the welfare of your pets or children, using any of these can help force local coyote to forage elsewhere. The most popular repellent used to keep coyote away is either TIMBER WOLF or MOUNTAIN LION urine. These animals are higher up the food chain compared to coyote and for this reason, coyote will typically steer clear of their territory. Apply small amounts of either along your property border to make it appear your land is being used by this alpha predator. Coyote will avoid areas which have natural predator scent. For areas west of the Mississippi, wolf urine is highly effective. 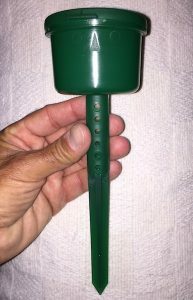 Place 1-2 oz along side a tree, shrub or fence post every 10-20 feet. Be sure to outline your property border focusing on the most likely entry point. Plan on renewing the urine every 30-60 days. If you’re located east of the Mississippi or don’t have wolves in your region, go with MOUNTAIN LION urine. Predatory cats are well distributed around the country and coyote know to avoid any areas they scent. To extend the length of residual provided by the urine, use either LIQUID GUARDS or CAPSULE GUARDS. Both will keep urine more stable and protected so placements will last 90+ days. Over time, these guards will effectively pay for themselves. Liquid guards hold a couple of ounces and come with stakes. Place them down into the ground about half way down so the holds in the stake toward the top are still exposed. This will allow the urine odor to permeate out. 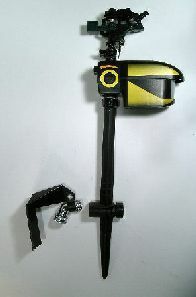 Place guards every 10-20 feet along property borders. If you prefer a more discreet placement, go with Capsule Guards. These get pushed into the ground and essentially disappear so you won’t see anything above ground. Each pack contains 12 capsules and can be placed out effectively to help protect up to 50 linear feet of property border. If you have a property with a range of birds coyotes like to hunt such as geese, chickens or pheasant, the MOTION ACTIVATED WATER SPRAYER is a good repeller sure to keep them away. 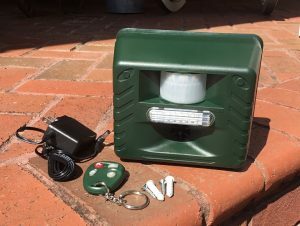 This device relies on a motion detector to sense an animal coming within range. Once activated, it will send out a 3 second blast of water. Since the range of the water is limited by the power of your garden hose, the exact area it will cover is not consistent from yard to yard. But it makes a lot of noise and is sure to scare any animal that sets it off including deer, fox and coyote. The “eye” of the motion detector can see in an area up to 105 degrees and its powered by a 9 volt battery that will last for 3-6 months. Units can be hooked in series to one another and you can control the range where the water stream will shoot by widening or closing the coverage “gap” setting. The most permanent and thorough repellent to use is our SOUND REPELLER. This device relies on sound to both scare and make foraging animals uncomfortable. If you place unit around your property borders, you can effectively protect the yard. These units can be set to run on 4 “c” cell batteries. They have a motion detector which can sense motion from more than 50 feet away. Approaching animals will trigger the unit which will then send out a strong ultra sound by default. It will also flash an LED light bar (a bright white light) and can even emit an audible sound which you control via a volume button. In general, setting the audible sound to 20-40 is smart as the extra noise will scare coyote even more. This unit includes a small AC power converter so you can use standard plug in wall outlet receptacle to keep it running all the time. In general, you do not need to keep it on all the time; running it on batteries and with the motion detector only is generally enough. There is also a wireless remote control you can use to power the unit off and on as needed. In general, you’ll want to set the unit to “night” so it will not operate during the day. You’ll also want it set it to “motion detector” when powering it by batteries. Lastly, the yellow knob for target animals should be dialed in to point directly at “dogs”. Units should be placed 3-4 feet above ground. Coyotes have been hunted using a range of live traps. 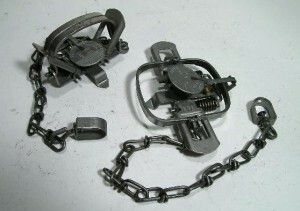 These traps are very much in use today and can be effective for both the professional wildlife trapper or the recreational hunter. This next section of our article will go over the more common trap options available for coyote and offer up suggestions on how to make effective sets. Homeowners are now more likely to see a coyote more than in any other time of our countries existence. These animals are fun to watch and many times welcomed when first found. However, be aware of their presence. Coyote are pack hunters. They readily chase and catch deer for food and though they can look like someone’s dog, they’re not friendly nor should they be welcomed in any urban community. So if you have coyote foraging on or near your land, it may be time to trap some out. This will usually send a warning to the local pack causing them to stay away. The most common type of trap used by professionals is the leghold. This includes both the COIL and the LONG SPRING design. These traps can be used many ways. The most common is to make sets along known coyote trails. These trails can be clearly etched in the landscape or they can be off to the side along a road or logging trail. 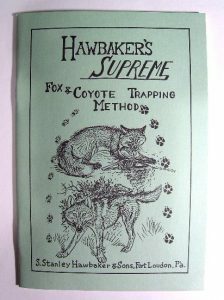 To help identify where to make a set, review HAWBAKERS COYOTE TRAPPING METHODS. It will outline how and where to make effective traps. For most any coyote, the COIL 1.75 trap is both easy to use effective. The key for this design is to get the animal interested in the area around the trap as well as disguising the trap by camouflaging it in the landscape. This can be done with leaf litter, grass or even dirt. 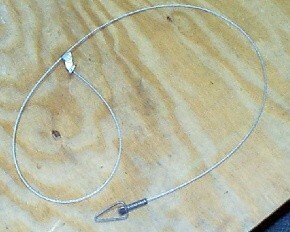 The coil trap is the more commonly used these days as its easier to set compared to a long spring. Its also more compact. But it still needs to be anchored and secured or else it will be dragged away. These traps have a 4.75″ spread when set. The more traditional style of leghold is the long spring and when using this design, the LONG SPRING 11 is plenty big for coyote. It features a 4″ jaw spread when set and is strong enough to hold coyote when anchored sufficiently. This design is available in a wide range of sizes but the double spring #11 is a solid performer and in general, the only size you’ll need. To get coyote to come close to trap sets, you’ll need to get their attention. This can be done with either COYOTE URINE or COYOTE LURE. 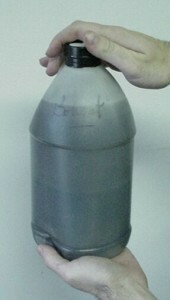 Coyote urine is used by coyote to mark territorials. By placing some on a tree and then making a leghold trap set underneath the placement, you can pull active coyote to the set. Once they get close and start to sniff the urine, the hope is they’ll step on the trap and get caught. Available in many sizes, it only takes a few ounces to attract foraging coyote. But use more to get them fired up. Like coyote urine, COYOTE GLAND is a lure used to mark territories. Commonly use during the rut or when rival packs are active on land tracts close to one another, gland is naturally excreted by dominate coyotes to tell other coyote to stay away. Place gland on traps and then above it to pull in coyote from afar. For the more experienced trapper, SNARES can be an effective tool. These traps are to be used along well traveled pathways or entrance holes known to exist in fences or thick brush. Like many other animals, coyote will forage along “hunt” trails. These trails could be used by deer or some other local animal. Setting snares along these pathways can be done effectively without the use of bait or lure. And since they’re more discreet, you can place many out to ensure you get all travel routes covered when you know they’re active in a given area. 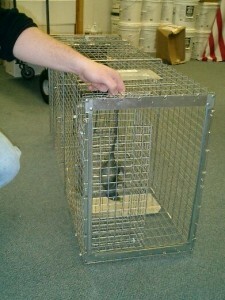 Another method of trapping long thought to be impossible is the use of a live trap cage. Recent trap design combined with “step trapping” will enable you to live trap even the most wily coyote. It is also suggested that the trap is disguised by covering it with landscape on the sides, top and bottom. One very effective way to camouflage the trap is to utilize pine straw bales and lots of them. The trick is to completely surround the trap which includes the sides, the back and the top. Pull straw through the mesh from inside the trap. Be sure to use either mud, dirt or more straw to cover the bottom of the cage. The following video features a live trap set being made by a professional trapper. And though the target animal in this video is a fox, use the same exact setup when targeting coyotes. Coyote are accustomed to seeing straw stacked. They are also accustomed to seeing wire which is commonly used on farms. Coyote urine should be used on and around the set as well lure. By making the trap appear to be a “den” rather than a trap, coyote can be caught. This type of set is very effective if the animals are used to entering chicken coops or other holding areas for pets, livestock or birds. So if you have a nuisance animal stealing prize livestock, a live trap could be your best trap option. In fact, this type of trap set is very effective if used in a barn, an animal holding pen or other livestock cage where coyote are accessing. Upon entering the area, they are expecting to see wire and even cages like our trap designs so if you set the trap in their path with a good lure, you are likely to get one live trapped. 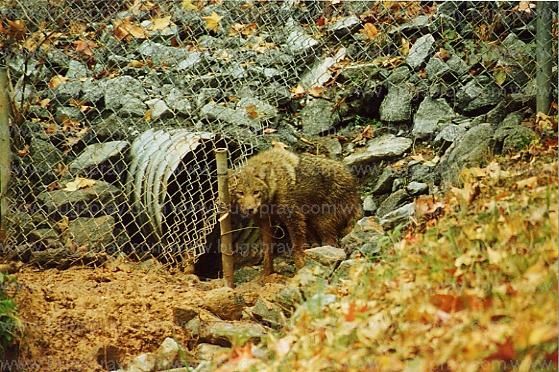 Coyote will be more wary of a live trap which is placed in the woods where such equipment and metal is not natural to the landscape. So if you want to successfully live trap coyote, you will need to do so by making your set where the animals are currently active and causing destruction. So instead of trying to build a stronger, better fence, try using a live trap set at or near the entrance path. Generally speaking, you can catch a Coyote with either a LT151842 or the LT152248. Remember, the larger the trap the better suited it will be for coyote. The smallest trap we’ve seen work for coyote is our LT151842. This trap measures 15″ wide by 18″ tall by 42″ long. It comes standard with a front door only. The second design features a sliding rear door which is well worth having for preparing the trap set, cleaning the trap and releasing trapped animals. The second trap option is slightly bigger. Its 15″ wide by 22″ tall and 48″ long. This trap comes standard with front door only but like the 42″ design, the sliding rear door option is well worth getting. 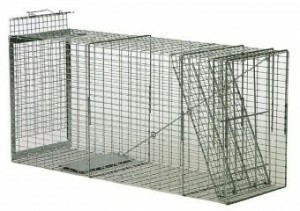 Lastly, we also offer this trap with a built in BAIT CAGE. 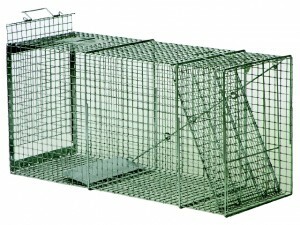 This cage can be used to contain a live bird, rat or other small animal. Coyotes can’t resist a live animal and will readily enter any trap when such an offer is present.